Summer can’t come quickly enough for Lipscomb students. Besides the better weather, summer offers endless activities for people who love the outdoors. One of Tennessee’s most anticipated summer events is Bonnaroo. The high-profile music festival is known for bringing thousands of people from all backgrounds together to camp and enjoy music for a weekend. “My favorite thing about ‘Roo is how happy everyone is and anyone can be whoever they want and everyone is accepted,” said strategic communications student Allie Coffey, who has attended Bonnaroo three times. The year’s lineup includes well-known artists like Cardi B, Childish Gambino, Post Malone, The Lumineers, Walk the Moon and Hozier, among others. Some students said they believe this year’s festival could be the best yet, and they couldn’t hide their excitement when asked about the lineup. 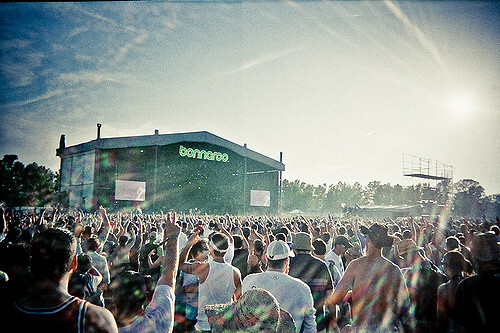 While most students are excited to see their favorite performers, others attend because of the atmosphere Bonnaroo offers. “I don’t know what artists are gonna be there, but I love music and EDM, and I also like big crowds and big events,” said student Genessa Alejandre. While the cost of Bonnaroo might be considered a bit expensive, the performances of four days and the experience along with friends make it all worth it, according to the attendees. Since Bonnaroo encourages its guests to recycle and keep the area clean, some people sign up to volunteer with a cleaning crew. Sierra Sevier will attend Bonnaroo as a volunteer to help keep the event clean. “I wanted to find a way to not pay $500 to go, I’m sure it will be worth it, but I haven’t experienced it yet,” she said. She also shared her thoughts on the lineup and said that Childish Gambino is one of the artists she is looking forward to seeing. If you’d like to see these artists and more, grab a group of friends and enjoy Bonnaroo, which will take place June 13-16 at the Great Stage Park in Manchester.